In the space of a few days, both of these sentiments were published in two of the UK’s largest newspapers. The first comes from an article in the Financial Times by Rupert Pennant-Rea, a former editor of the Economist and deputy governor of the Bank of England. Pennant-Rea has been writing a column about his latter-day love affair with science as, at the age of 70, he studies for a GCSE. The second is from an editorial in the Guardian marking the International Year of the Periodic Table. So, who has it right? Is chemistry crystalline clarity, or clumsy custard? Well, of course it can be both, and those opposing views capture chemistry’s charm and its challenge. Chemists will no doubt be dismayed to read the Guardian’s tired view of their subject, but that doesn’t make it any less true for those that hold it. For many people, the periodic table is an unwelcome reminder of a ‘hard’ subject and lessons they’d like to forget. To be fair, the editorial goes on to celebrate the periodic table as ‘one of the most remarkable feats of the human intellect’. But that the rest of the piece is a paean to the periodic table simply underlines the chemist’s lament: why does chemistry so often fail to capture the public interest, when it has the sort of brand recognition that money can’t buy. 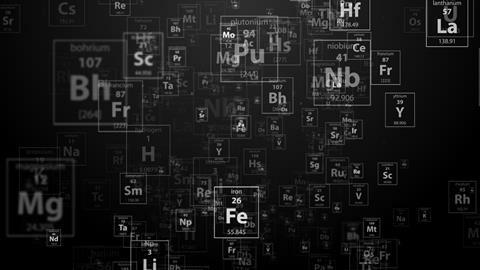 Which makes it all the more surprising to learn – and I hope you’re sitting down for this – that despite his newfound love of chemistry, Pennant-Rea claims to have never heard of the periodic table at all until last year. When our own Neil Withers shared the article on Twitter, chemists were full of admiration for Pennant-Rea’s decision to pick up science in his 70s, but equally perplexed that someone could have lived seven decades without encountering our beloved table. C P Snow’s Two cultures rift seems to have been an impassable crevasse for Pennant-Rea. It all brings to mind Roger Highfield’s provocative argument from last month’s issue: the public might not much care (or even know) about the periodic table – we need to show them something they do care about. Pennant-Rea’s conversion to chemistry is a perfect example: thanks to his tutor, he now delights in understanding everyday phenomena, and the elegant order that lies behind the periodic table’s tiles. Dmitri Mendeleev, he writes, deserves to be as well-known as Rembrandt or Beethoven, because the table’s ‘layers of engrossing detail … resemble a great painting or symphony’. Which raises another worthwhile point, echoed by Philip Ball: Rembrandt and Beethoven are known for whole bodies of work, not a single achievement. As Ball says, science’s obsession with priority (such as who exactly discovered the periodic table) can lead to seeing science only as a succession of firsts, obscuring the true scope of a scientist’s contribution. Ball pleads for us to be less obsessed with deciding who knew what when – what really matters is what we can do with that knowledge. That also means when neophytes like Pennant-Rea yearn to know ‘How did science progress?’, they won’t be misled. And likewise, for those who protest at negative characterisations of chemistry, you have the advantage of knowing how fascinating chemistry and the periodic table can be. The question is: what are you going to do with your knowledge?